Published January 9, 2012 at 325 × 235 in Consuming Environmental History: Rethinking Wild Game Meat. 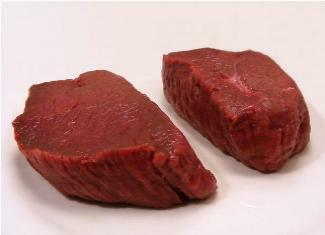 Deer steaks or venison are nearly indistinguishable from other forms of red met. Photo from Wikipedia Commons.